Welcome back from break everyone! Syllabus week is all about settling into new routines, occasionally walking into the wrong classroom and remembering how to think again after a month-long Grey's Anatomy bender. Or at least, that's how I transition out of winter break. For a few eager Republicans, though, the month of January is all about attempting to erase progress. The House of Representatives voted to repeal last year's health care overhaul on Wednesday. The legislation has virtually no chance in the Senate and President Obama is threatening a veto if it somehow makes it through, but the Republicans are determined to deliver on their campaign pledge of a repeal, and promise months of political maneuvering and delays. With this ambiguous victory under their belts, Republicans say they plan to move on to the next battle: the Clean Air Act. The Environmental Protection Agency is in the process of drawing up new performance standards to help cut emissions produced by coal plants and refineries. In other words, the EPA is working to cut greenhouse gas emissions, fighting pollution to preserve the planet. "Standing up for American workers and addressing EPA's rampant regulations is a top priority," says Rep. Fred Upton, a Republican from Michigan. The new chairman of the House Energy and Commerce Committee adds, "we will be active and aggressive...to protect American jobs and our economy by rolling back the job destroying (greenhouse gas) regulations." I have to commend Rep. Upton for his use of carefully worded rhetoric, but ultimately these words are empty. Just like the health care repeal, an attack on the Clean Air Act is a largely symbolic gesture, without a chance of getting through a Senate vote or avoiding a veto. More importantly, Republicans are completely missing the point of energy reform. Energy debates inevitably center around the economy. Questions about costs, job loss and efficiency need to be asked and addressed, but America, as a progressive, humanitarian nation, also needs to address the moral aspects of climate control. Our world runs on a global marketplace and on a global energy system. While American politicians dally over numbers and cents, farmers in Africa are facing worsening droughts exacerbated by the emissions of a coal plant in Virginia and a car factory in Detroit. Donald Brown, a professor of Environmental Ethics at Penn University, points out that "the economic argument has been used to scare people, without reflecting on rights and responsibilities." America is a superpower, and as such we must take the lead in accepting blame for our actions and affecting change and progress. Energy reform is an incredibly complex issue, but it boils down to this: America and other world leaders are dumping enormous amounts of pollution into the atmosphere and the water supply, "we're dumping on others and harming them because of acting in our own interest," says NYU Environmental Studies professor Dale Jamieson. Republicans aren't afraid to bring up questions of morality in debates about abortion and LGBT rights, so progressive politicians shouldn't shy away from the hard questions and moral quandaries that surround energy reform. I don't want to minimize the importance of 'numbers and cents,' but I truly believe that minimizing greenhouse gas emissions and investing in clean energy will create a healthier, more progressive economy that will be a viable competitor in the markets of today and tomorrow. 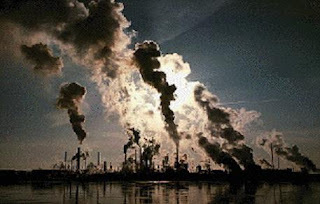 I also believe that the United States has a moral obligation to face the consequences of decades of environmental abuse, and that moral obligation starts with simply accepting responsibility, and agreeing to begin the path to recovery. The Republicans have virtually no chance at rewriting the Clean Air Act, but they can delay it. I hope, for the sake of our national integrity, that they stop fighting a losing battle and take a look at the world we've all created. It's time to step up, stop angling for electoral talking points, and face the music. A president is the face of a nation, regardless of his or her approval rating, and that means a president is expected to speak and to inspire the nation in good times and bad times. This is especially true in times of unexpected and sudden tragedy. President Obama recently gave a speech in Arizona, which I thought was very well done, and seems to have helped Americans recover from this latest tragedy. I listened to both the speech and an NPR story about the speech. I recommend listening or reading to both. I hope some good things emerge in the wake of this tragedy, I hope that the talk about partisan rhetoric isn't just noise, and I hope that the American people's faith in President Obama is restored somewhat. The NPR report talked about how this tragedy might be a turning point in Obama's presidency. The New York Times agrees and compiled a few examples of presidential adresses in the wake of tragedies, which I enjoyed looking through and thought I should share with the Lefty's community. 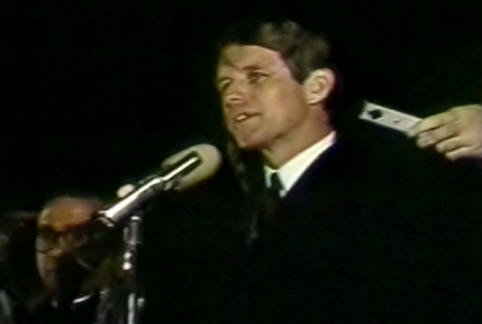 response to the assassination of Martin Luther King Jr. Robert Kennedy was never President, because he was also assassinated, but he was a presidential candidate at the time of this speech and I consider this speech as powerful and as influential as those on the New York Times list. It hasn't passed my notice that Martin Luther King Jr. day was celebrated just yesterday, nor the coincidence that this speech was delivered in Indiana. It is a shame that our nation, and many other nations who often undergo worse, has to endure tragedies such as these. It is great, however, when a leader emerges to speak to our hearts when such tragedies do arise.